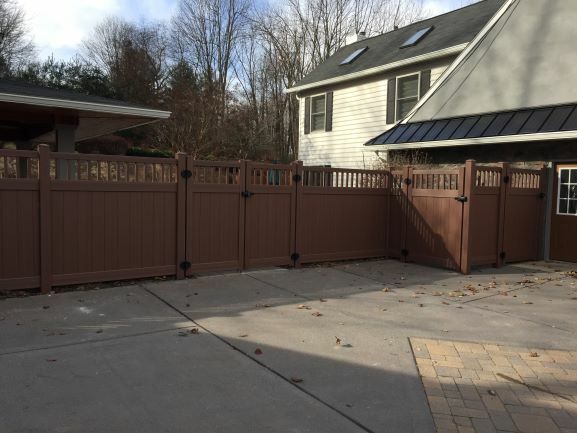 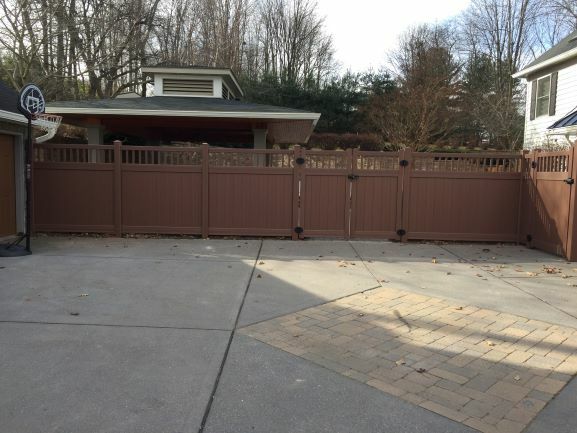 Though the homeowners wanted a natural wood-look to their privacy fence, they also wanted the convenience of a maintenance free product. CertainTeed’s Chesterfield Certagrain privacy fence does both; their limited-lifetime-warranted fence products come in a dozen wood look colors. Here the fence is installed with a Victorian Accent topper in the Brazilian Blend color. 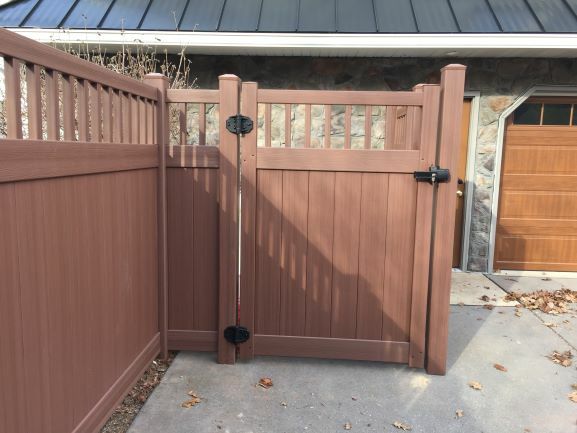 The fence sections measure 6’h x 8’w and include 4’8” of privacy, plus 1’4” Victorian Accent topper. 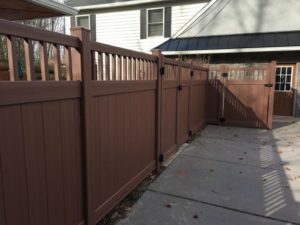 Posts are 5”x5” and core-drilled into the concrete driveway. 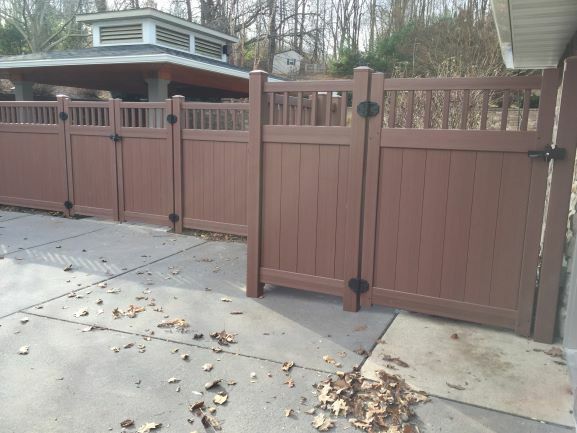 All bottom rails of all CertainTeed privacy products are reinforced with steel to eliminate sagging over the years. Gates installed include: two 4’w walk gates and one 8’w double swing gate. 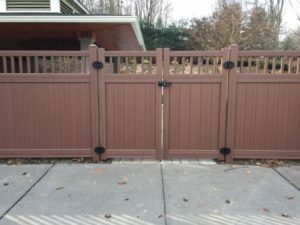 Fence hinges and latches are pool-code compliant.